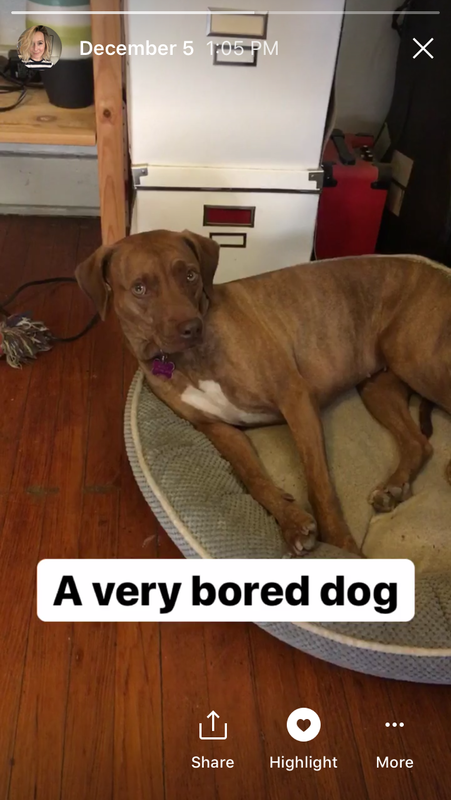 The best part of Instagram is the stories. With the IG newsfeed constantly changing, I can’t even remember the last time I uploaded a photo to my feed the old-fashioned way. It’s all about stories and now they’re even better because you can save your stories ~forever.~ Instagram has added two new features: story archive and story highlights. 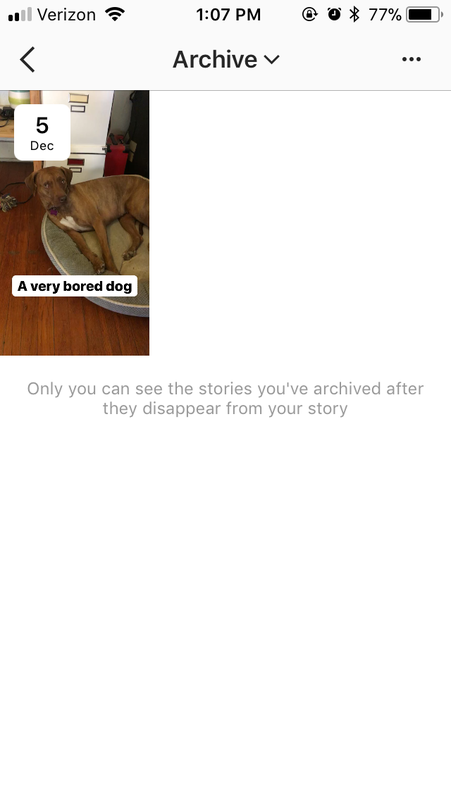 You’ve always been able to archive old posts, and now you can archive a beloved Instagram story before it self-destructs. However, the archive function is for your eyes only. 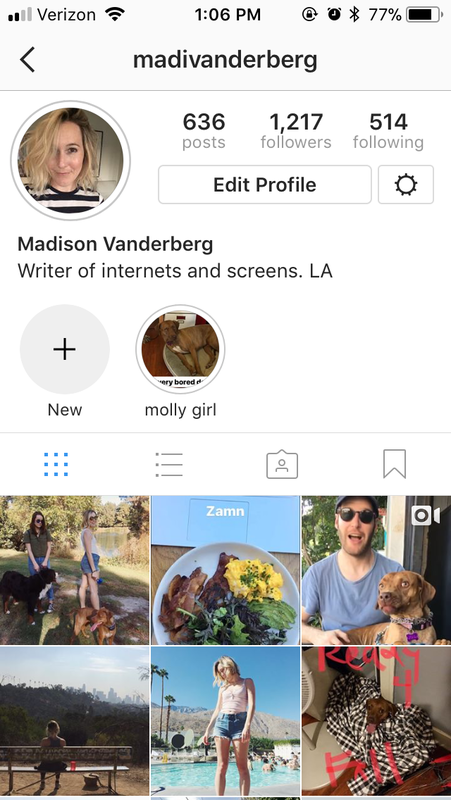 If you want your followers to watch an IG story of your dog after the 24-hour expiration date, simply add the clip to your Story Highlights section. Story Highlights appear below your bio on your profile page and can be customized however you like. You can add six stories to your profile and keep them there forever, or delete them after a week. I personally love IG stories because they delete after a day, and if I like a video a lot, I’ll just post it to my feed. However, if you’re all about your Instagram aesthetic and the thought of disrupting your feed with a ~gasp~ video gives you layout nightmares, then this new function is for you. 1. Update your app. I had to delete the app and reinstall it before I saw the update. 2. Add a story like you normally would. Once the story has posted, click on “Highlight” in the lower right-hand corner. 3. If you want to feature a story to Highlight but want to wait to do it, save the story to the Archive and then move it to Story Highlights when you’re ready. The archive section is accessed by clicking on the clock image in the top right-hand corner of your profile page. 4. Now that your story is posted to Story Highlights, check out your profile page. You can also add a Highlight directly from the profile page using the (+) function.